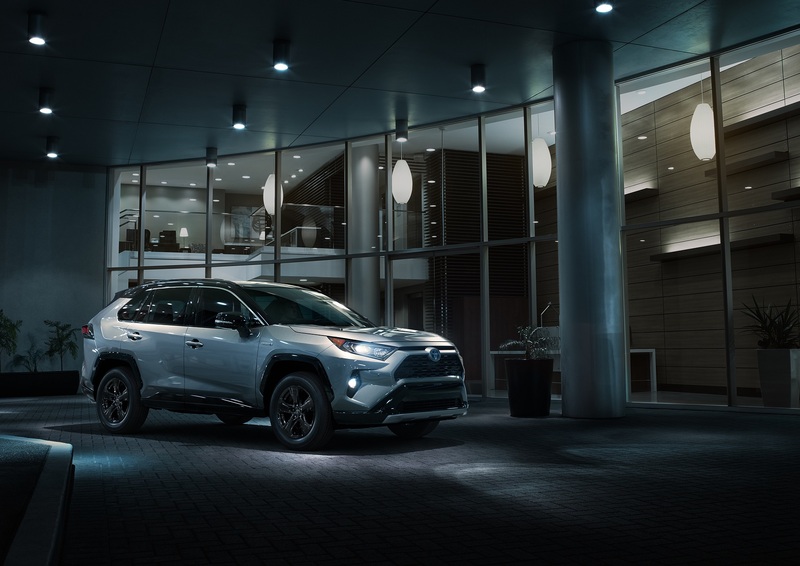 Hot off the heels of the new Corolla Hatchback, Toyota is unveiling yet another heavy sales-hitter at this year's New York Auto Show: The 2019 RAV4. 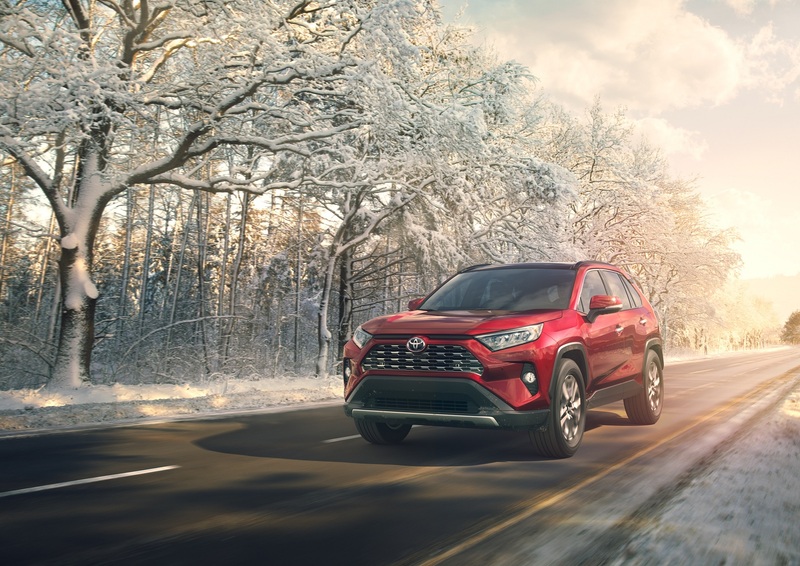 In fact, Toyota says the RAV4 is now its undisputed top-selling model as well as the best-selling vehicle in the U.S. that isn't a pickup truck. A lot of dollars riding on this new one, then. No pressure. 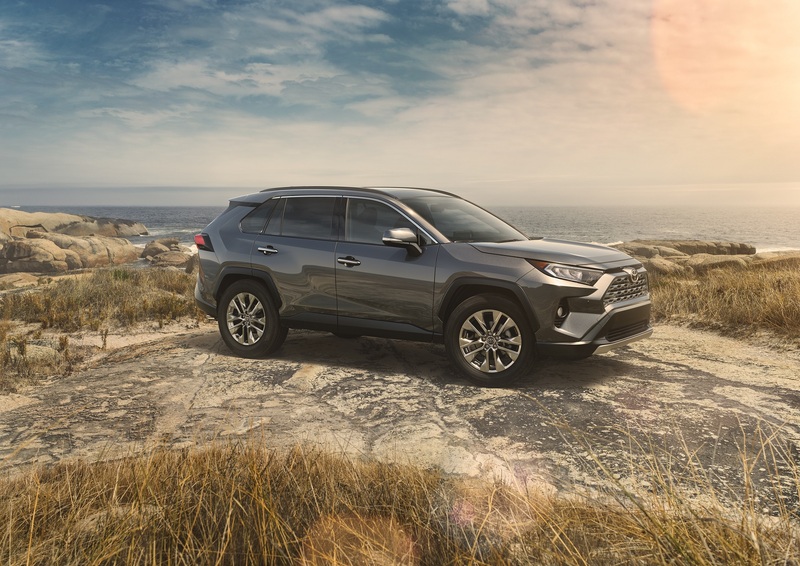 Riding on the automaker's New Global Architecture K platform shared with the Camry and Avalon, the latest, more chiseled RAV4 sits lower and wider than the crossover it replaces. 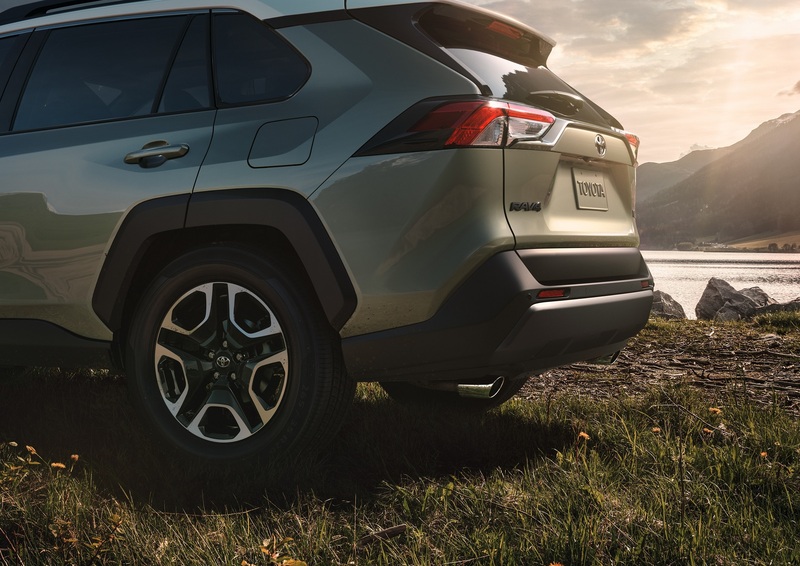 Looking like a baby 4Runner, the new RAV is 57 percent more rigid than the old car and somehow boasts half an inch more ground clearance while being more aerodynamic. Oh, and following in the footsteps the Camry, two-tone painted RAV4s are also a thing now. As a result, Toyota says this is a RAV that's better looking, stabler, quieter, more comfortable, and better off-road. But it would say that, wouldn't it? Keep it locked on The Drive for our first impressions likely coming later this year. In terms of powertrains, the gas-only flavors of RAV4 keep it admirably old school. Power comes from a 2.5-liter four-cylinder mated to an 8-speed automatic transmission. No turbocharging, no CVTs. Specific power and torque figures have yet to be revealed for some reason. As for how all of that undisclosed grunt meets the road, this will be the first Toyota to offer dynamic torque vectoring all-wheel drive with rear driveline disconnect, bringing the RAV4's off-road and rainy-day chops to new heights. The system can send anywhere from zero to 50 percent of the torque to the rear wheels, essentially going completely front-wheel drive when the motoring is uncomplicated for better fuel efficiency. 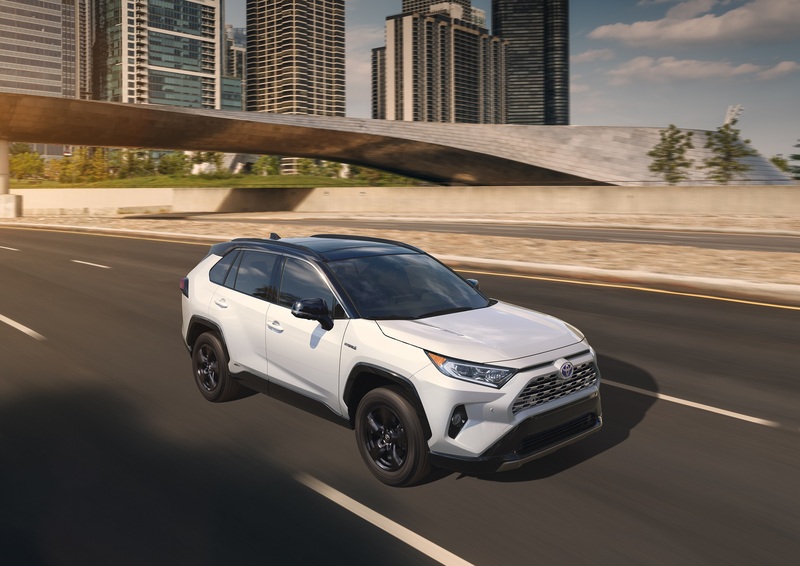 Hybrid versions will also be available including the XSE Hybrid, a RAV4 trim aimed seemingly at buyers looking for a little flair with their pragmatic compact SUV. It consists of piano black exterior accents, an undisclosed amount of more power, and even "sport-tuned" suspension. Venturing inside, the RAV4's 7-inch touchscreen, like the one found in the new Corolla, houses Amazon Alexa and Apple CarPlay. No word on where Android Auto went, though. 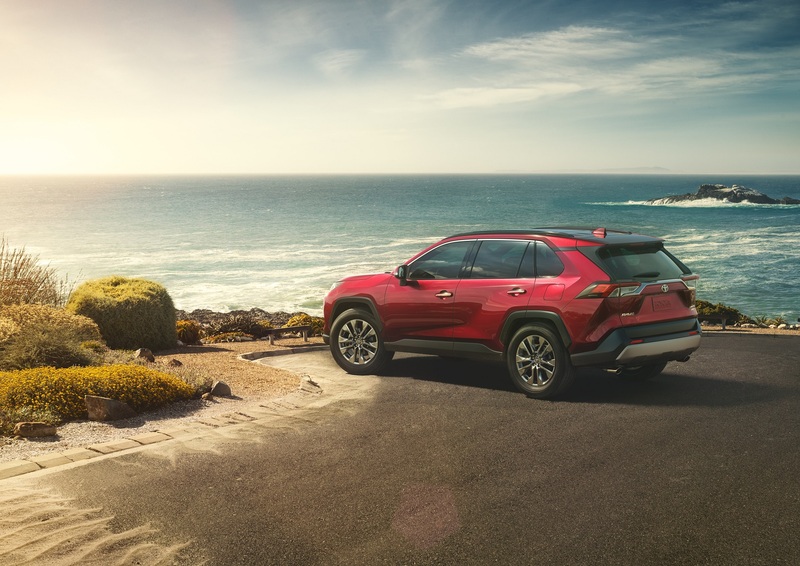 Gas versions of the 2019 Toyota RAV4 will hit dealers at the end of the year while hybrid models are slated for early 2019.